Areas across Texas experiencing severe forms of drought. 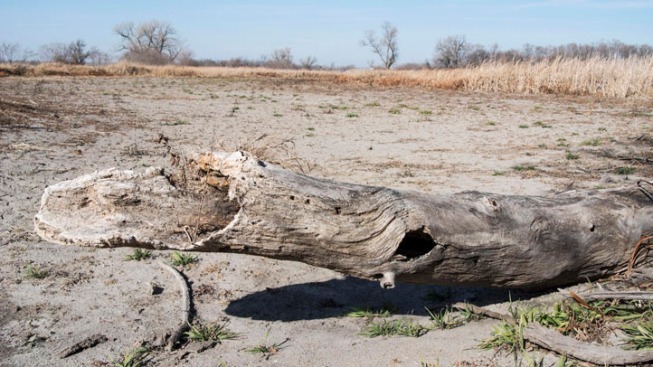 A dry winter has dropped chunks of Texas, including large metro areas such as Houston and Fort Worth, back into severe forms of drought, raising concerns for wildfires and the health of tree farms. State Climatologist John Nielsen-Gammon says September and November are on track to be the driest since 1950 and in the top five driest on record. He says the state never fully recovered from the historic dry spell in 2011, and the lack of rainfall this winter raises more concern. The U.S. Drought Monitor's latest map, released Thursday, shows nearly 55 percent of Texas in severe drought, up from just over 40 percent last week. About 24.5 percent of the state, including Houston and Fort Worth, are now in extreme drought, up from 23 percent last week.